rethinkSGA was an initiative by our SGA and Students Against Institutional Discrimination (SAID), aimed to make SGA more transparent and reflective of the students it seeked to serve. 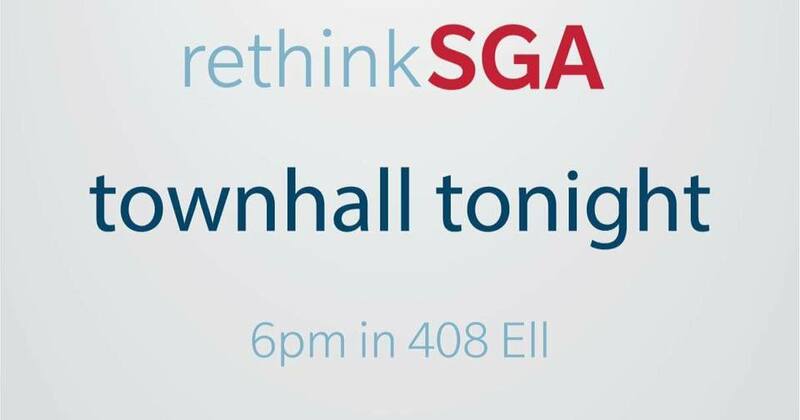 A series of three town halls were held throughout the Summer and Fall semesters of 2016 where SGA leadership heard concerns from members across the university and various activist circles. Afterwards, in the spring of 2017, leaders from both SGA and SAID created legislation that was approved by the Student Senate that changed the referenda process, making it more transparent by sending vetting approval to Senate, and by restricting the criteria to Fairness of Wording and Adherence to University Policy only, getting rid of the previous nebulous “feasibility” criteria. The proposed legislation also created an explicit responsibility of the VP of Academic Affairs to work closely with the Faculty Senate to address shared goals.